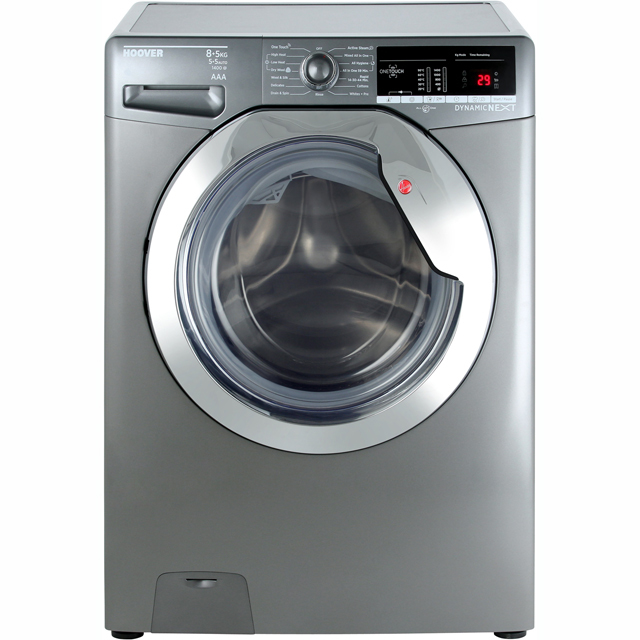 Power through the laundry pile with this washer dryer from Hoover. With its 8kg drum, it’s ideal for medium-sized households. 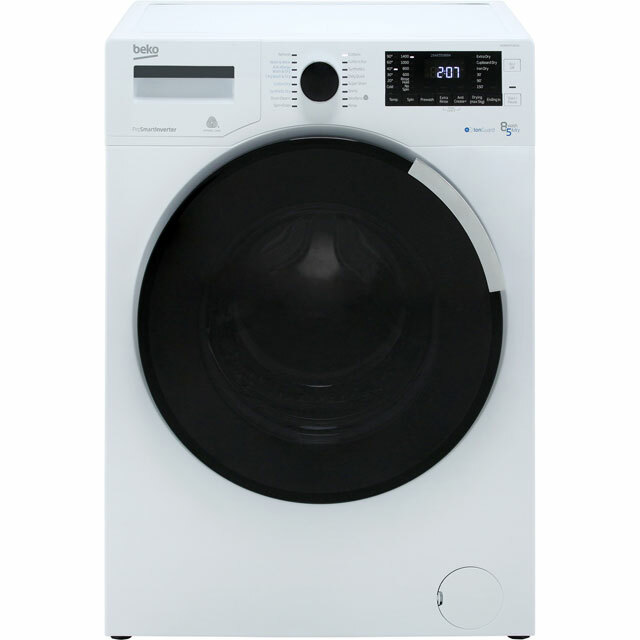 You can wash and dry more efficiently thanks to the KG Mode, which weighs your clothes and automatically adjusts settings to help you save time and energy. 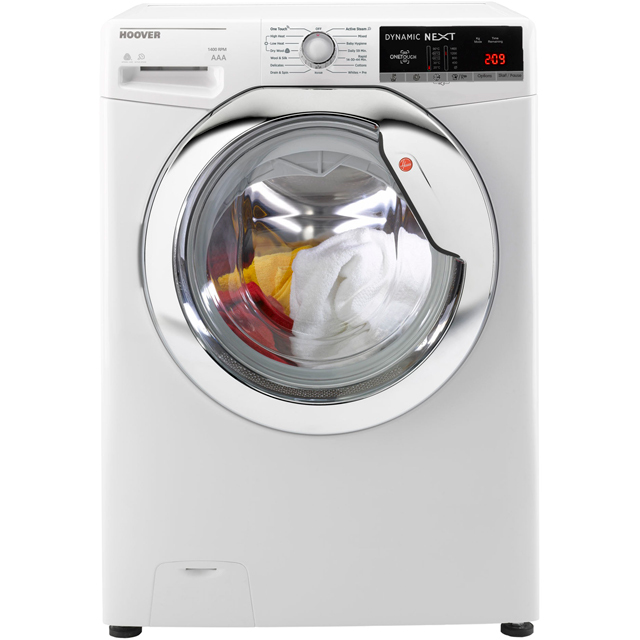 Stubborn stains will be a thing of the past with the brilliant 3D Dynamic Wash System, which uses special drum movements and faster spin speeds to give everything a really thorough clean. This model also works with the Hoover One Touch app, which lets you control your appliance and even download new programmes from your smartphone. Washes well. There is a great 59 minute 40 degree and 1000 spin cycle, which will be used a lot. The other cycles, apart from the super short 15 minute, and the hygiene cycles are very long and I doubt that I'd use them. The spin at 1400 is not useable as the machine vibrates so much. It doesn't move on the floor, but the contents of the kitchen cupboards rattle and fall out. It's also very noisy. It's ok for the money, but I wish that I'd spent more and got something that doesn't vibrate as much. The tumble dryer is good, but you can't time it for shorter drying time. This washer dryer is so good! Being able to control a wash while out of the house is amazing. 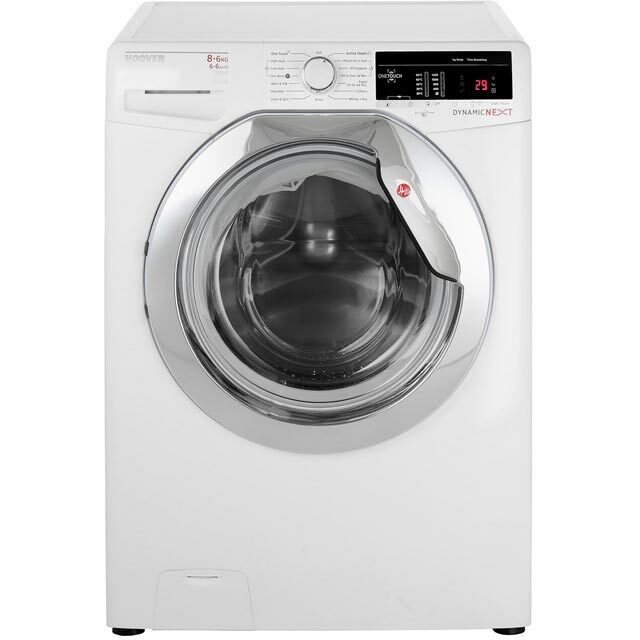 The controls are really user friendly and I love how quickly a load of laundry can be washed and dried with the different programmes. The 14, 30 and 44 minute programmes are excellent for a quick wash! The active steam control is also very good for getting creases out of shirts so good for people who hate to iron ! 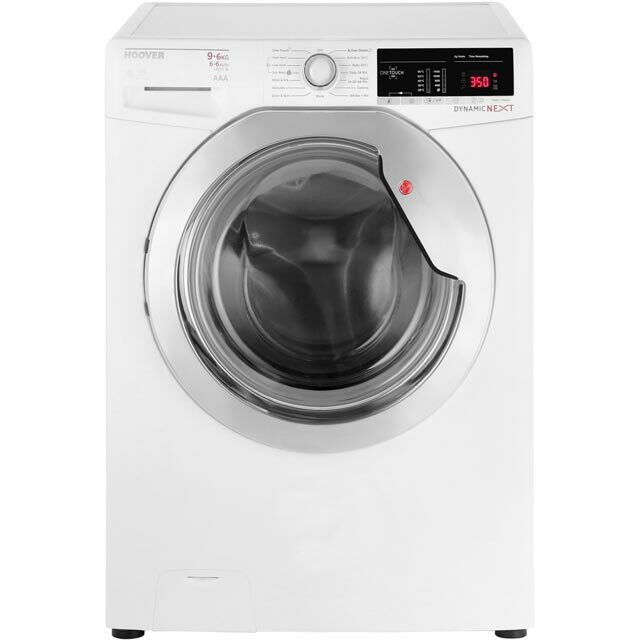 I was doubtful when I first bought it as I had never used a washer dryer before but this product has been excellent and would definitely recommend it as it saves time and space! Does exactly what it says on the tin! Solid product. Great price. Bought this for our new house and it cleans our clothes so well really like the fast clean cycles and looks sleek in our kitchen. Washing machine looks good and is pretty quiet. Could do with a few more options for washing. I have only used my new washer / dryer a few times so far but I'm happy with it. It has a larger capacity and is quieter than my old machine, but that's probably hardly surprising as the previous one was around 13 years old.